Your baby’s crib bedding should always keep safe and dirt-free so that there is no hazardous element on their bed. To keep their bedding clean and germ-free, you need to wash their bedding regularly after a specified interval. And, it is imperative to offer them clean and hazardous-free bedding. Besides, their skin is too sensitive to tolerate any intolerable element on their bed. As a concern parents, you have to keep your baby’s bedding dust-free as well as allergen-free to ensure their restful sleep at night. That's why you need to know, how to wash baby crib bedding and how often should you wash them. Special detergent is recommended by the doctors to wash your kid’s clothes and bed. Try to avoid using a detergent that has added dyes, chemicals, sulfates or fragrances. Those substances are highly harmful to your little one’s health. Generally, babies have low or no immune system. That’s why they need the cleanest bedding, softest clothes, and cutest toys for their betterment. As parents, you have to ensure all of them to offer your baby a safer environment. You can use natural detergent to keep your baby’s bedding clean and soft. Detergents having chemical fragrances may cause skin problem to your baby as they are very skin-irritant. Before washing your baby’s crib bedding, keep an eye on the bumper if there is any hole or its ties are alright. If you see some stains (in most cases, you must see) as your little one is one of the quickest machines to make stains on their bedding. Use stain removal before let it go for the washing machine. Another essential thing to consider before starting washing them in the washing machine is a lower cycle of your machine. As the faster cycle of your washing machine damages your baby’s bedding’s smoothness as well as softness. Besides, they get rough to sleep on. So, the lower cycle of your washing machine is recommended by the experts. There is an alternative as well. If you do not want to wash your babies’ clothes into the washing machine, you can hand-wash them to keep clothes as soft as before. As a parent, you already know it that your little one is the fastest machine to make stains on the bed sheets and the bumper also. While they take baby foods or formula, they often make stains on their bed as they are very fickle. Before going to wash it, you have to pre-soak the stains made by your baby with detergent (natural detergent is recommended) and warm water. You baby’s bed sheet or other items keep soft without any damage through the process of removing stains from them. You need to pick the right temperature while washing your baby’s bedding. The aim is to kill the bacteria from your little one’s bedding. In this situation, it is recommended by the specialists that 60-degree centigrade temperature of the water for washing is perfect for killing all the bacteria and germs from your kid’s bedding. Otherwise, if you choose a high temperature, it has an adverse impact on the bedding’s clothes, and they get damaged. After washing with the warm water, all you need to do is to iron them for the final use. As you have already washed your little one’s bedding with intensive care, it is time to dry them thoroughly. So let’s talk about the drying process of your kid’s bedding now. Sometimes, it is seen that few parents use the dryer to dry their children’s bedding. Though the process is fast, it is not recommended by the specialists. Through this process, your baby’s bedding may damage and lose their softness. The cotton fabric may also damage by the excess heat. Sometimes, they cause skin irritation and allergies to your baby. In this situation, natural sunlight can come into the play. It has no harmful impact on your child’s bedding while drying them. In this process, your baby gets to sleep well on the bed as well. Just make sure all are adequately dried before placing them in your baby’s crib to use. However, your baby’s bedding gets wet frequently. In this case, you can use vinegar and baking soda to remove the stain from the bedding fast. You need to spread the baking soda over the spot your baby made and then soak it with mild hot water. It works well. How Often Should You Wash Baby Bedding? If you are a First Time Mother, it is sometimes, a little bit of daunting to keep your baby’s bedding clean and bright. But, for your baby’s security and safety, you have to do it on a regular basis. Otherwise, your baby may get sick now and then. Keeping your baby’s things clean is a holy duty for the parents. You can see our top quality crib bedding sets here. Now, it is a question mark that how often you should wash your baby’s bedding including bed sheets, bumper, mattress pad, a pillowcase, and others. Actually, it depends on your baby. However, few things need to wash 2-3 times per week while others need to wash 1-2 times per month. Don’t worry! In this article, we are going to cover everything about every item of your little one’s bedding that needs to wash weekly or monthly. Baby’s sheets get dirty most in the crib bedding. They make stains on the sheets while taking their baby foods or formula. Besides, dust falls on the sheets most. To keep your baby’s bedding clean and safe for them, you need to wash your baby’s sheets 1-2 times per week. In some cases, it needs more washing if there is soiling present on them. You can do the same thing by replacing a new sheet on the bedding as long as the old one gets suitable for use. For more info, you can go through this post. Crib bumper is another most important and must-have items in your baby’s bedding. It protects your baby from direct contact with the crib. Besides, it helps your baby keep in place and does not allow him or her to fall from the crib bedding. Baby’s crib bumper also gets stained and dirty. For your baby’s safety and clean environment, you need to wash the bumper as well. So, you should wash your baby’s bumper just once a month, and it will do. But before proceeding, make sure there is any hole in the bumper or any unwanted stains to remove. Wash the bumper in the washing machine but make sure you are using the lower cycle of the machine. Otherwise, it also gets squeaks. Though you do not need to wash your baby’s mattress pad frequently as it has sheets over it, you can wash the mattress pad also after a certain period of time. In a month, you can wash the mattress pad to keep it clean. But before washing, you can use a brush to remove its dust and dirt. Your baby’s face rests most time on the pillow. So, you should always use the clean and bacteria-free pillow as well as a pillowcase. You do not need to wash a pillow and its case altogether. Instead, you can wash the pillowcase 2-3 times a week, or you can replace it with a clean or new one. And, the pillow should wash every six weeks to ensure there is no dirt and bacteria and germs that can harm your baby. Otherwise, it causes your baby’s allergies and skin irritation. Your kid’s blanket and comforter are also needed to wash to clean them thoroughly. You can wash them in the washing machine as well. Just make sure to use lower cycle of the machine so that they never get damaged, or they remain soft. 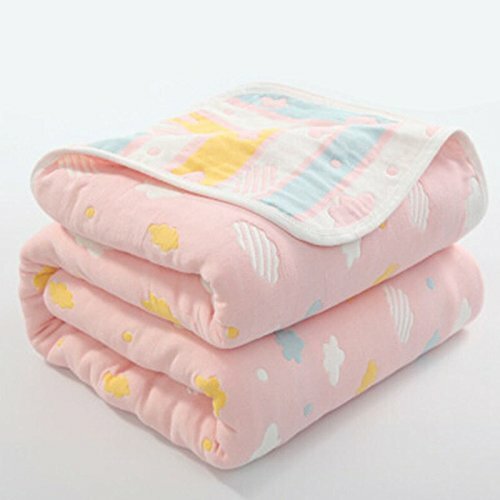 If you wash them with high cycle and hotter water, their cotton fiber may ruin and as a result, your baby does not feel comfortable while sleeping with them. You can wash them once every 2-3 months. Even if you do not use them for several months, still they gather dust indeed. These dust particles can be the reason for your little one’s allergy problems. Dust ruffles get dirty and gather dust very much as they are very close to the floor. It needs to wash every 2-3 months to keep them clean. You also have to an emphasis on its washing as it is a part of your kid’s crib bedding. In this way, you can keep your little lovely one’s bedding clean and clear so that there are no harmful germs or bacteria to cause any harm to your baby. Besides, dust is the element that is mostly responsible for causing allergies and skin irritations. To make your baby’s sound sleep on the crib and for her or his all-around safety, you need to wash crib bedding as needed. Clean and fresh bedding is the pre-requisite to ensure your baby’s sound health and allow them to sleep well at night. Always try to ensure their safety first as parents. 3. Potty training tips and procedures for babies.